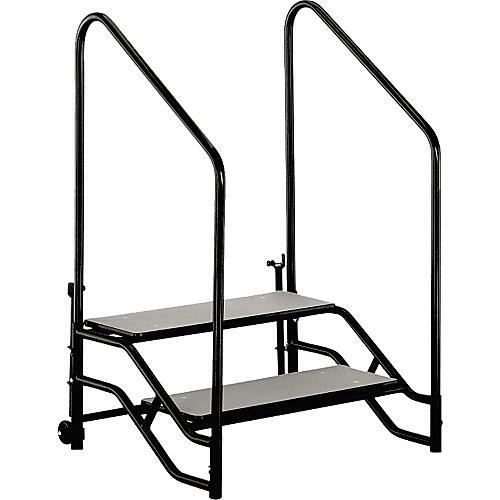 Help students approach the stage gracefully and safely with Midwest Stage & Riser Steps with handrails. Steps are surfaced with slip resistant, gray polypropylene. Units clamp securely to any area of the stage perimeter. Available in four heights with one, two, three or four steps.